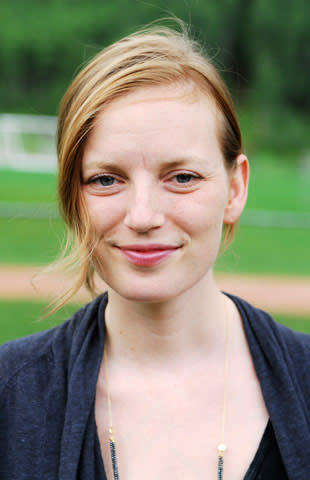 Sarah Polley was sharing more than family secrets in Telluride this weekend. The Canadian actress and filmmaker screened her ultra-personal documentary "Stories We Tell," about being born of one of her mother's affairs, at the Telluride Film Festival following its premiere in Venice last week. And while in Colorado for the fest, she offered her fans an even deeper look into her private life. "Taking public breastfeeding to a whole new level today in Telluride," she tweeted Monday afternoon, following a seminar and Labour Day picnic. The 33-year-old "Splice" star, who married second husband law student David Sandomierski last August, gave birth to her first child on February 7, according to her rep. She also brought the baby along to Venice for her new film's world premiere, according to her Twitter account. "Packing onesies for Venice. As you do," she tweeted on Aug. 25. "Stories We Tell," which will also screen at the Toronto film fest this month, is the T.O. native's first documentary and follows Polley's second feature film, "Take This Waltz," which was released in June. "It's 20 times harder to make a documentary than a fiction film," Polley told The Hollywood Reporter. See also: Should Kristen Stewart attend TIFF this year? Though it sounds like breastfeeding isn't particularly easy, either. In May, Polley alleged that a luxury hotel in Toronto was not particularly helpful when she attempted to feed her baby there. "One king west hotel. Male staff were not so nice to a new mother trying to breastfeed there the other day. #won'tbegoingthereagain," she tweeted.